In case you needed it, here’s proof that Disneyland really *is* the happiest place on Earth. 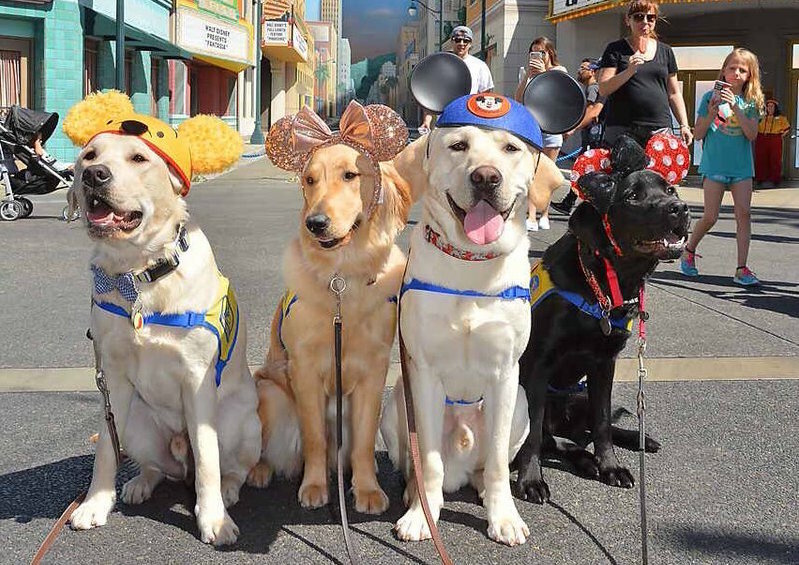 A group of service dogs took a field trip to Disneyland together, and the picture they posed for is aww-mazing. The registered service dogs are all grouped together, with their humans mostly out of the shot, and did we mention that they’re all wearing Mickey Mouse ears? No? Well, all the dogs are seated together, well-behaved, and wearing Mickey Mouse ears. Are you ready? Well, ready as you’ll ever be to see service dogs on the field trip of a lifetime. Here are service dogs spending their day at Disney, and honestly this is the content we crave and need. We know. We know. It’s almost too much to handle. But everyone can have a good time at Disneyland! It’s not just for kids and kids at heart. It’s also for very good dogs. Since they are service dogs, though, if you bumped into this motley crew at Disney, you would not be able to pet them. Even if you saw them on the teacups. They weren’t *just* there for a field trip, though. Many service dogs undergo training at Disneyland. You might think, “Why? But it’s so hot and overwhelming there!” and the answer is, exactly. It’s a crowded, high-stress area, even on the best day. Service dogs often train there to sharpen their skills in similar situations. If you can hack a day at Disney, you can pretty much do anything. Most of the humans who have worked there would probably agree. If you have photos of your service dogs at Disneyland, please let us know! Since Spring has officially sprung, we could use a little help melting the ice left around our hearts. Bonus points if you and your pup have matching Disney gear on, but we won’t be picky. It really is the happiest place on Earth.